Tis the Season to be FURRY! I am delighted to annouce that I have been nominated as Best Actor in a Musical Theatre Production for the 2014 Broadway World New Jersey Awards! I was nominated for my performance as Scuttle in Disney's The Little Mermaid at The Growing Stage and whole slew of other artisits from The Growing Stage have also been nominated! Please ﻿﻿VOTE﻿﻿ for me by clicking the link below! Thanks everyone! Voting closes December 31! Today, I added production photos from the spectacular production of Disney's The Little Mermaid to the Photos Page! 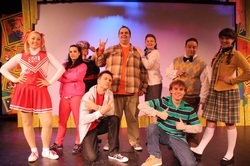 It was a truley "positoove" and magical experience and a show that I will always be proud of! Visit the Photos page to check out the pictures. Thanks to my friends at The Growing Stage and Perry Kruger for the great photos and a great looking show! Dive under the sea with us at The Growing Stage, as Disney's turning point, masterpiece film about the mermaid princess, Ariel, who longs to leave her home under the sea to be part of the world of humans above comes to life in a colorful, full scale musical. I will be playing the loud, misguided, tactless, but always positive, Scuttle the Seagull. We've been having a splash putting this beloved telling of the Hans Christian Anderson story on stage. It's a terrific show for the entire family, complete with dingelhoppers, Ursula tentacles, magical transformations, and all the songs you adore. Songs like: "Under the Sea,"Kiss the Girl," "Poor Unfortunate Souls," and "Part of That World." "On my way to where the air is sweet!" 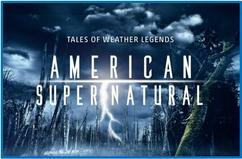 Mixing meteorology with the supernatural, this spooky show will offer stories of American super natural legends that have sprung up around weather patterns and natural phenomenons. Keep a look out for an episode featuring yours truly entitled, Devil's Gate of Southern California. The show airs Sundays at 8pm EST on The Weather Channel. "Mermaid off the port bow!!" 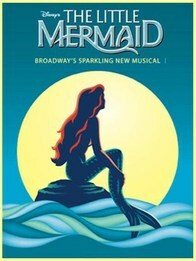 Disney's The Little Mermaid opens at The Growing Stage! "Trick or treat, trick or treat! 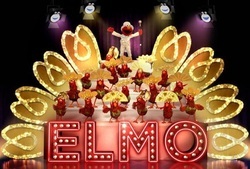 Give ELMO something good to eat!" Disney's turning point, masterpiece film about the mermaid princess, Ariel, who longs to leave her home under the sea to be part of the world of humans above comes to life in a colorful, full scale musical at The Growing Stage! I will be playing the loud, misguided, tactless, but always positive, Scuttle the Seagull. I am so excited to be back at the Growing Stage and thrilled to help put our stamp on this beloved telling of the Hans Christian Anderson story! It's going to be a SPLASH! Today I shot scenes for The Weather Channel's new show, ﻿American Super Natural﻿! This brand new show will premiere Fall of 2014 and tells stories of urban myths and legends that have sprung up around natural elements in the United States. 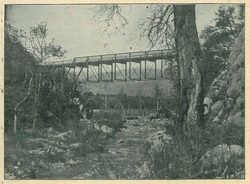 My episode tells the story of Devil's Gate in Pasadena, CA, where, after many child and adult disappearances got a reputation as one of the portals to the underworld. I play a camp counselor at Summer Fun Camp who, while hiking on Devil's Gate, lets his camper, Bruce, leave the group to head back to camp. Bruce is never seen again. We had a lot of fun shooting today! Thanks to everyone at Sirens Media for a terrific day! Check back for info on the episode's air date! 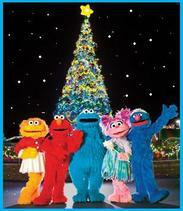 Sesame Place opens for its 2014 Season! This will be my ninth season working at this wonderful park. It's such an exciting year too! 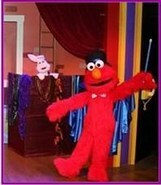 This year, the Entertainment department opens ELMO THE MUSICAL, an ALL NEW musical detective show with Elmo and Cookie Monster, directed by John Tartaglia (Broadway's Avenue Q & Shrek), along with our other wonderful shows Elmo ROCKS!, Let's Play Together, and everyone's favorite the Neighborhood Street Party Parade. Later this spring, be sure to check out the ALL NEW land, COOKIE'S MONSTER LAND! It's going to be our furriest and most exciting land yet! See ya on the Street! Production photos from the world premiere production of Adventures In Toyland have been posted! It was a fantastic experience and such an adorable show! Visit the Photos page to check out the pictures. Thanks to my friends at Storybook Musical Theatre and Mike Levin for the great photos! Don't miss this exciting world premiere event! Join Michael (played by ME) and the toys of his playroom as they go on some exciting imagination adventures. This adroable, heart-warming show has something for everyone to enjoy! Come play, laugh, and imagine! The show runs: MARCH 26th - APRIL 6th, 2014 At The Klein JCC Theater. "Climb aboard and hang on tight! It's one exciting ride!" This adorable, WORLD PREMIERE production centers around the young boy, Michael, (played by ME), who is being haunted by some awful nightmares. Michael escapes into his playroom where his toys, Captain Combat, Rag Doll, Pirate Pete, and Ballerina Belle whisk Michael away on an imagination adventure to the jungles of Africa, out on to pirate filled seas, on to a deserted island, and up to the moon. Through it all, Michael learns that he has the power to control his imagination and not let it control him. With an original book by SMT's artistic director Patricia Goldberg and music by the talented Jeff Reim, this show will be funny, heart-warming to everyone in family, no matter what age! At The Klein JCC Theater. 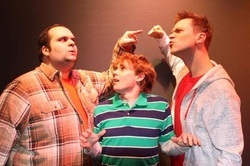 Please visit www.storybookmusical.org for tickets and more info! 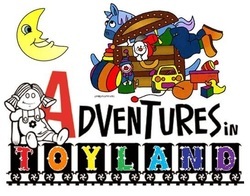 Adventures in Toyland with Storybook Musical Theatre! It's Storybook Musical Theatre's first world premiere since 2002! Join Michael, a young boy troubled by nightmares and played by the one and only ME, and his toys, Rag Doll, Captain Combat, Ballerina Belle, and Pirate Pete as they go on a magnificent imagination adventure. Their imaginations take them deep into the jungle, out on to the open sea, way up into outer space, and leaves them dancing their way back home! With an original book by SMT's artistic director Patricia Goldberg and music by the talented Jeff Reim, this is going to be an adorable show that shows that anything is possible if you look at the world through your "mind's eye." Holy Toledo! Production photos from the world premiere production of The Secret Life of Hubie Hartzel as well as a video that was used in the show has now been added to the website; as well as more photos from the mega Growing Stage hit, Rudolph the Red-Nosed Reindeer! Visit the Photos page to check out the pictures and the Media page to check out the video. Thanks to my friends at The Growing Stage for the great photos and video, plus some wonderful experiences! Hubie Hartzel is not doing well in school, his sister's annoying, he has a hopeless crush on his art teacher, his beloved pet is sick, and the class bully has it out for him. His only allies are his pet cat, Fred Ferkel, who's very old and sick, and his best friend Frank Vitanza, played by ME. Hubie finds refuge in imaginative world of his drawings. 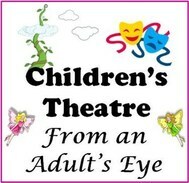 The winner of TGS's 2013 New Play Reading Festival this play is comes with a laughter guarantee and a story that you don't have to be a fifth grader to relate to. It's terrific! Come see it! "Holy Toledo" It's Opeing Night! 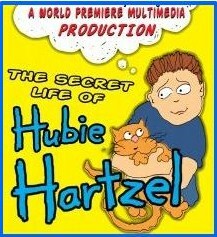 Move over Walter Mitty, it's time to find out about The Secret Life of Hubie Hartzel. Winner of The Growing Stage's 2013 New Play Reading Festival, this hilarious new play follows the perils of life in the fifth grade. Hubie struggles with homework, bullies, a hopeless crush on his art teacher, the death of his beloved pet cat, and more. Hubie finds refuge in his imagination through the pictures he draws on his sketch pad. Through it all, there's Hubie's best friend, Frank Vitanza, played by ME! It's going to be a blast! Happy 2014 everybody! To start of the New Year off I will be performing in, not one, but TWO WORLD PREMIERE PRODUCTIONS!